Welcome back to A Dose of Venom! The last time I wrote, I introduced you to the biology and habits of the alien symbiote race in an in-depth, partially scientific study. Today, I'm going to continue this theme of deconstructing the comics by analyzing the psychological profile of the most well-known and loved symbiote host: Edward Charles Allan Brock, formerly Venom and Anti-Venom, and currently Toxin. This was previously attempted by Tim Stevens, Marvel's official "Psych Ward" column writer, who is pursuing his Psy D. I am not pursuing any such psychology degree, nor am I a professional psychologist; I merely hold an (unhealthy) interest in the psychology of fictional characters and am very apt at Googling psychological and medical jargon. I felt that Stevens' own analysis of Eddie's psychology as Venom (or, more specifically, his psychology between giving up the symbiote and becoming Anti-Venom) was quite informative and entertaining; however, I also felt that it didn't completely encompass the psychology and motivation of the character, especially since Eddie has evolved so much since the time of the original article's publication. 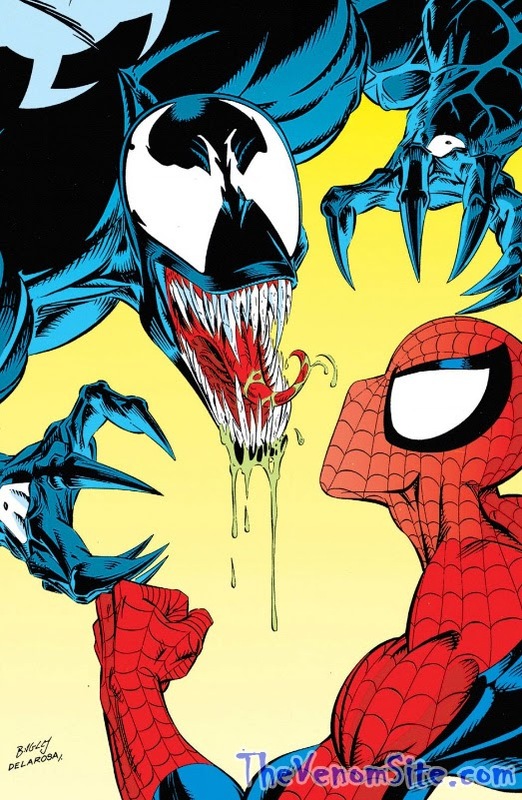 This two-part article series will explore even further into Eddie's psychology, how it developed, and how it has evolved through his careers as Venom, Anti-Venom, and Toxin. Before Eddie's birth, his parents—Carl and Jaime Brock—had a daughter: Mary, Eddie's older sibling. After she was born, it was revealed to the parents that Jaime couldn't bear another child without seriously risking her life. When she became pregnant with Eddie, Carl expressed his concern for his wife's health, but to no avail; she was determined to have her child, regardless of the risk. 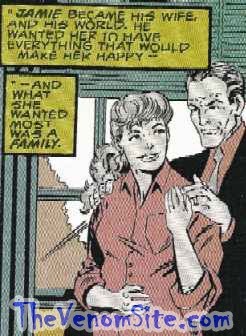 Consequently, she passed away shortly after giving birth to Eddie, which immediately fostered Carl's hatred for his son, whom he blamed for killing his beloved wife. Despite his feelings for Eddie, Carl was a fair and honorable father, and saw to it that Eddie received the best education in honor of Jaime's memory. However financially invested he was in Eddie's future, Carl was never emotionally invested in his own son. Along with Mary's adolescent insincerity towards her younger brother, whom she also, for a time, blamed for her mother's death, Eddie developed early on a victim complex. He felt himself innocent of his mother's death, and constantly tried to please his father through academic and athletic achievement throughout his schooling. His yearning for validation spilled into his social life as well, and he often attempted feats that would earn him the favor of his peers. His intentions have always been for the best, though as he aged, the means by which he sought praise degraded into the immoral and unethical. Love and admiration are Eddie's primary motivators; success and fame were never his goals. In fact, Eddie may have developed a distaste for wealth from his upbringing; he was born into a wealthy family who lived in one of the wealthiest neighborhoods of San Francisco, CA, but because of his father's disinterest and apathy for his son, Eddie may relate wealth and success with negative feelings. Eddie is markedly charitable and sympathetic: he had donated the proceeds from auctioning off the Venom symbiote (Marvel Knights Spider-Man: Venomous) to fifty different charities and, when he isn't blinded by his rage, is always mindful of and protects people's innocence. Eddie found very few avenues of true happiness in his adolescence and teenage years, but the few avenues he did find consisted of physical activity. As a child, he loved to skateboard with his friends and excelled in the pastime, thus earning him the desired praise from his peers (Venom: The Hunted). When Eddie entered high school, he directed his efforts to please his father away from academics and onto football, believing that maybe he could succeed in a non-academic manner. 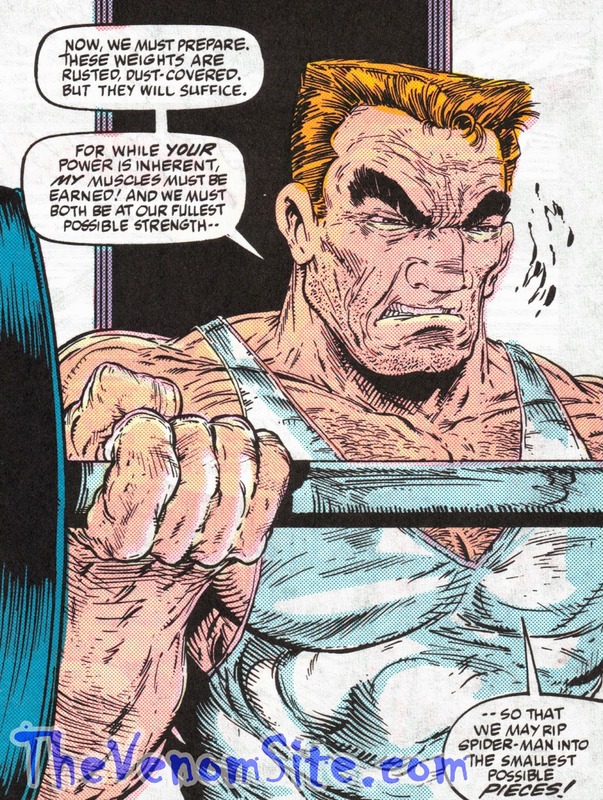 Even though he was met with the same disinterest from his father, Eddie's physicality from his short football career built upon his physicality later on as he found enjoyment in building muscle to best Spider-Man in combat. Returning to the nature of the modes by which he sought validation, Eddie never related the immorality of his unethical actions to negativity. He possesses a twisted sense of morality in which he can differentiate morality in others, but not in himself. For instance, when Eddie was a young child, he intentionally kidnapped and held hostage a peer's kitten in order to fabricate a search and rescue situation in which he would emerge the hero and earn the respective praise. His dishonesty and disregard for personal accountability blossomed in his journalistic career later in life when he both lied about having an internship with the San Francisco Chronicle for admission into Empire State University and withheld Emil Gregg's identity from the NYPD in the name of the First Amendment in order to continue writing his popular interview series with the Sin Eater copycat for the Daily Globe (Venom: Dark Origin). Another cause for Eddie's moral degeneration can be rooted back to his first exposure to career journalism. In grade school, one of his teachers (most likely an American history teacher) delivered a lecture on the Watergate scandal and how truth is determined by journalists. Eddie would later utilize this lesson in his interviews with the Sin Eater copycat to institute Emil as the true criminal prior to Spider-Man revealing the real culprit. Combined with his twisted sense of morality, the core of Eddie's character is established to mock that of Spider-Man's: when Eddie is provided great power, he lacks any sense of responsibility or accountability. He never once blamed himself for his own misfortune or for his crimes as Venom, and instead shifted blame onto others, especially Spider-Man. At the time of Eddie's initial bonding with the alien symbiote, his victim complex was at its peak. Through the downward spiral of losing his job, respect, and college sweetheart-turned-wife Ann Weying after the Sin Eater debacle, Eddie no longer saw any hope for validation as a human being. Added to his situation were a new dead-end job as a tabloid journalist writing false truths and exposés and the discovery of his cancer, which jointly advanced his degradation to the point of suicide. Had the symbiote not intervened during his suicide attempt, it would have resulted in Eddie's death—both his immediate death by suicide and his slower death by cancer, which the symbiote seemingly eradicated. When the symbiote did intervene and bond with him, though, it not only saved his life, but gave Eddie new purpose to live. The symbiote, too, suffers from a victim complex after having been rejected by its own species for being insane, captured and imprisoned on Battleworld, and then brought to Earth and rejected by its former and most intimate host, Peter Parker. Together, Eddie and the symbiote created a complimentary psychological bond that provided them an exclusive, empathetic companionship. Though the symbiote always sought a chance to bond once more with Spider-Man, its hatred for him and its familiarity with Eddie's experiences influenced the symbiote to stay with him and create a close working relationship. As is the case with the symbiote's current host, Eugene "Flash" Thompson, Eddie developed a dependency for the symbiote similar to that an alcoholic has for alcohol or an addict has for drugs. The power and strength it provided him to conquer his outward oppressors became intoxicating to the point in which his and the symbiote's individually experienced pain and pleasure became sympathetic. Unlike when the symbiote bonded with Spider-Man, Eddie and the symbiote shared a more explicit relationship in which the symbiote played a more proactive role, and would sometimes overpower Eddie's own psychology. 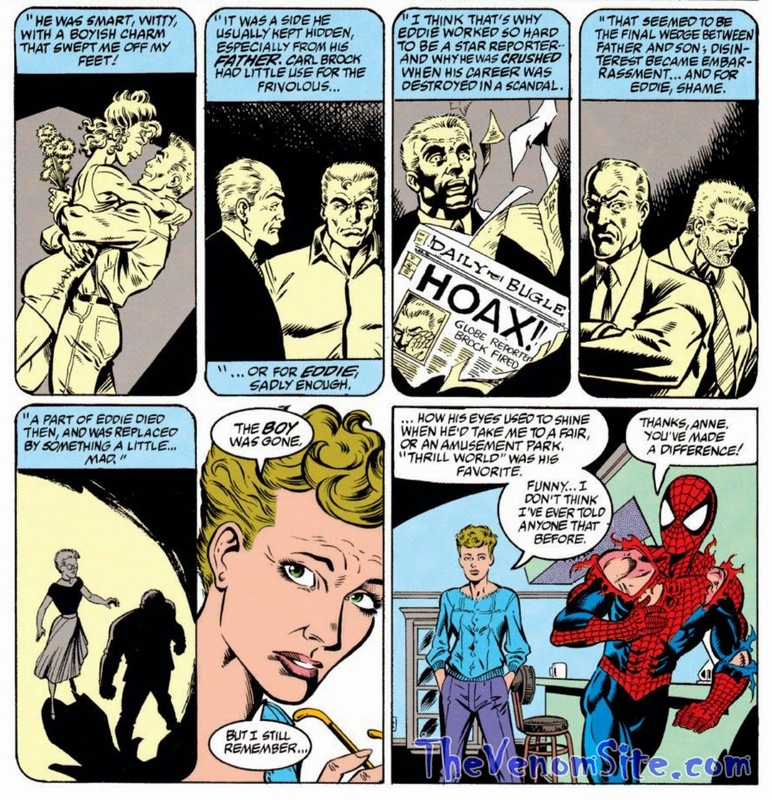 Because of this complex relationship, Eddie's modus operandi became vague, as Daredevil had revealed in Spider-Man Special Edition: The Trial of Venom (1992). 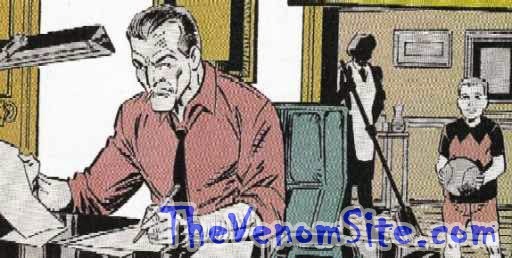 Whether Eddie can be held accountable for his crimes as Venom is debatable, especially when he reverts to his previously nonviolent nature during the periods in which he is completely detached from the symbiote (excluding his violent vendetta against symbiotes; he is largely nonviolent towards other humans). 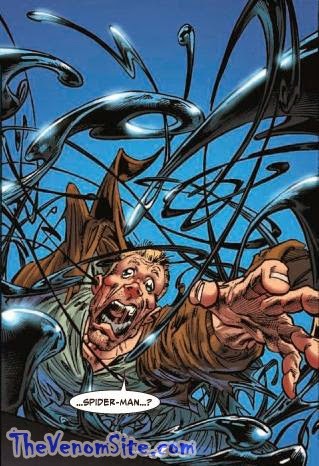 In fact, before he became Anti-Venom, Eddie would typically revert to his original, damaged psyche, and has been known to re-attempt suicide. Though his relationship with the Venom symbiote removes his own self-destructive psychology in place of strength, that strength is tempered only by vengeance. Venom (the amalgam of Eddie and the symbiote) may lean toward vigilantism and heroics at times in his quest to protect the innocent, but vengeance is his priority and modus operandi. He has been known to overlook his heroic responsibilities and even revert to murderous intents in a fit of rage caused by outward aggressors, especially Spider-Man. Therefore, as much good as bonding with the symbiote did for Eddie's fragile psyche, it also set him on a downward path of long-term self-destruction. This concludes the first part to "Psych Ward Unabridged." Return to A Dose of Venom next Friday for the conclusion, in which I explore Eddie's evolution as Anti-Venom and his de-evolution as Toxin. If you feel I've missed an important point in the analysis so far or have any questions or comments, let me know in the comments section below, and don't forget to follow The Venom Site for all of your symbiote news, reviews, and point-of-views!